Wellness Guru: Wellness gurus will find so much to love about the amenities that come with owning a home by HHHunt Homes. 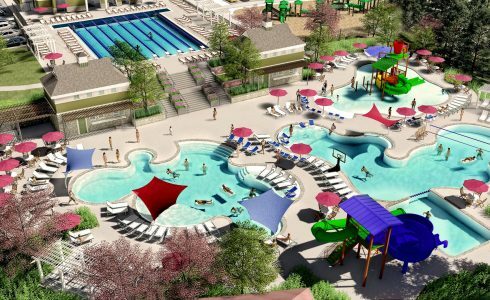 Homeowners at Aston Oaks at Magnolia Green and Magnolia Green Townhomes at Valhalla in Chesterfield make the most of healthy living at the Aquatic Center with five pools, multiple lighted tennis courts, a farmers market, and an annual 5k/10k race! As the first-ever recipient of the Active RVA Development Certification, River Mill in Henrico County will offer homeowners an extensive multi-use trail system, fields for yoga and sports, and more for healthy living. Greenwich Walk at FoxCreek in Moseley also has wellness amenities perfectly suited for the 55 and better lifestyle with a swim and racquet club, infinity edge pool, and fitness center! Neighborhood Social Chair: Do you enjoy getting to know your neighbors? Are you interested in participating in group activities? Do you love to throw get-togethers for friends and loved ones? 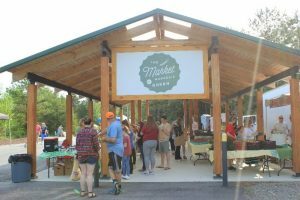 Social spaces such as the gazebo at Villages at Taylor Farm in Mechanicsville and the Magnolia Green Clubhouse are great for making memories with friends and neighbors! River Mill will include outdoor cooking demos, movie nights, Food Truck Fridays, paint nights, and so many more social activities for homeowners. The Greenwich Walk at FoxCreek’s Terrace Swim and Racquet Club also has plenty of space for social events or meetings. Building new relationships within the community is so easy with amenities like these! 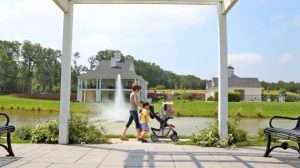 Outdoor Enthusiast: If you’re enthusiastic about spending time outdoors, Villages at Taylor Farm has so much to offer to homeowners at all stages of life! Taylor Farm includes three playgrounds, a spacious playfield, pop-up parks, and miles of pedestrian paths. Want to relax outdoors in a hammock garden or in comfy seating around a firepit? River Mill has both! You can also explore the beautiful Chickahominy River or spend time in the community garden at River Mill. Every day feels like a vacation for homeowners at Meadowville Landing Estates in Chesterfield County! Outdoor enthusiasts in this community can stroll along the river walk, fish in the community pond, or enjoy water sports on the beautiful James River. We believe it’s how you live that matters and promise that you will find the perfect home in one of our many Richmond locations.